Shuttling their precious feline friends from A to B, the Mustard clan are happy to give a helping hand. 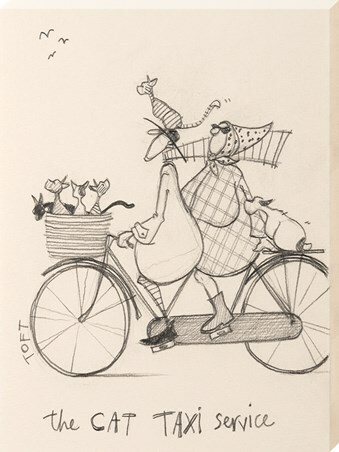 Peddling through the outdoors on their tandem bicycle doing all of the work as little Doris holds on tight, the pair feel accomplished as they near their cake and tea break. 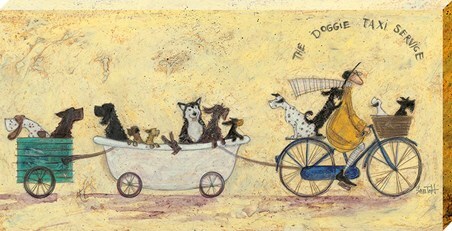 This endearing canvas print shows a raw sketch of one of Sam Toft's quirky illustrations, with perfect imperfections. 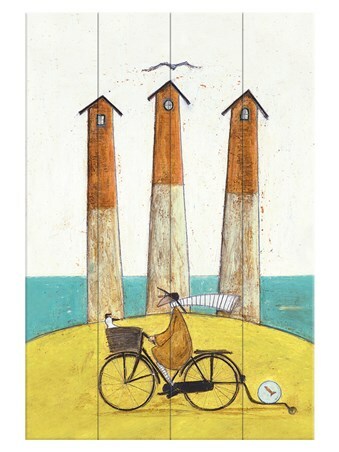 Invite the sweet two wheeled taxi into your home to bring a touch of charm to your humble abode. 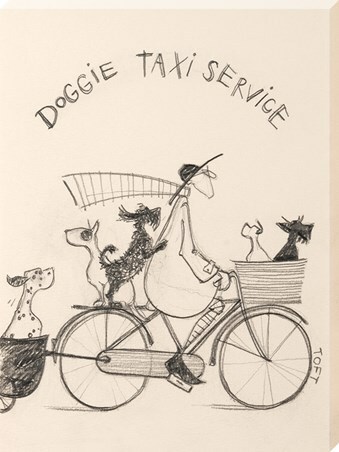 High quality, framed The Cat Taxi Service Sketch, Sam Toft canvas print with a bespoke frame by our custom framing service.